Some of my friends think that Montessori education is meant for kids who are born brainy or super-intelligent. Rather, it’s model is meant for building better brains through hands-on learning. On top of that, the Montessori education doesn’t classify any child as brainy or intelligent. It’s approach simply flows along with the works of human nature. The Montessori education is based on the beliefs of Mari Montessori since 1897 and her methods evolved quite a bit since then. From the beginning, the Montessori education works not only for kids from birth to 6 years, but also from 6 to 12, from 12 to 18, and from 18 to 24. To give you an overview, here’s a full picture of The Montessori Philosophy that Starwood Montessori School has come up with. Schools that follow this field of thought will have low-height shelves with individual activity material placed neatly in each section. After children picked out the material from the shelf, the teacher will demonstrate what to do, after which the children will try the activity on their own. Once a child wishes to move on to the next activity, he or she is encouraged to return the earlier material back to where he or she has taken it from, before picking the next one. Montessori school fees aren’t made affordable to everyone. Not because it’s out to scam parents who have the buying power. 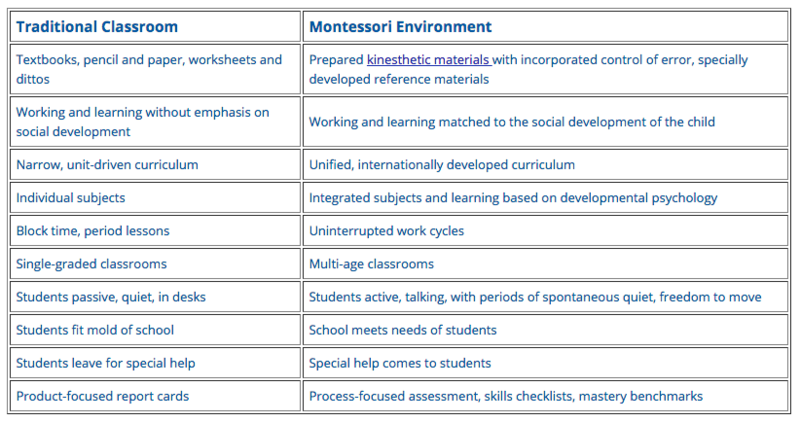 There are evident distinctions between a real Montessori school and a conventional one. 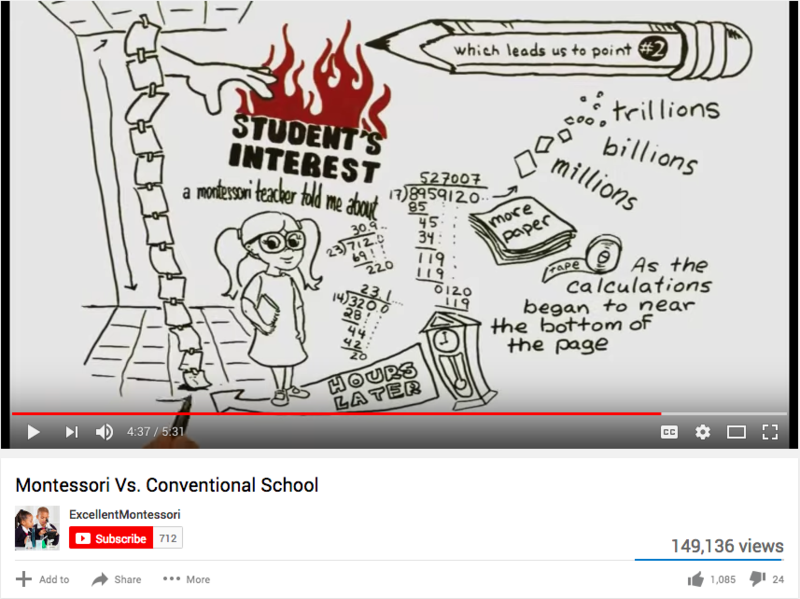 The Excellent Montessori School wraps them up well in a video comparing Montessori vs Conventional school. Let’s check out the paradigm shift comparing between Montessori and “Traditional” education and how the Montessori environment is able to ignite the flames in children. Does the Montessori education work? Somehow, years of research and a recent study showed that students who’ve been through the Montessori curriculum fare better in Mathematics than those who went through the traditional route. 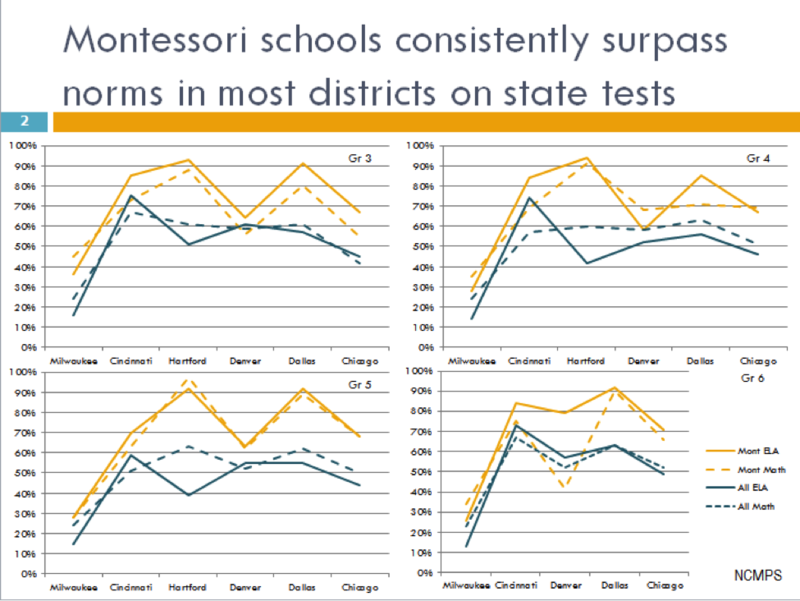 Take a look at these charts taken from CUNY Institute for Education Policy. Although Montessori-trained kids have an edge as compared to those who went through conventional approach, it’s still debatable when it comes to determining if Montessori brings about a standard outcome or success to children who’ve been through the program. Possibly more time and resources have to be dedicated to observing Montessori practices over the developmental years of groups of children before anyone can truly determine if Montessori is the path for all kids to take. Be mindful when you opt for preschools with names that have the word “Montessori” in it. 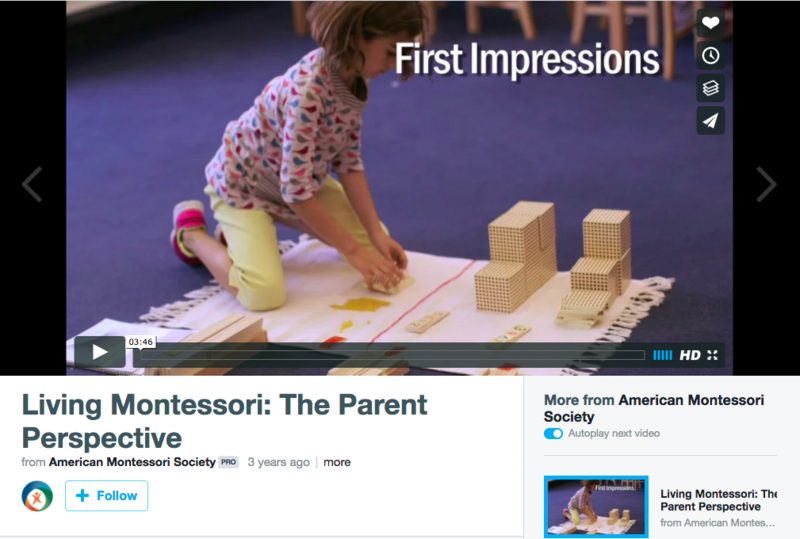 Not all Montessori preschools follow the Montessori principles entirely. Even if you don’t mind your child undergoing preschool with mixed programs, knowing if the Montessori-labelled school takes on the true-blue Montessori program will be helpful for you to follow his or her development process. Have you been looking out for a Montessori-based preschool for your child? Let us know your concerns in the comment box below. Marilyn Wo is a cool mum of two boys and an entrepreneur. Professionally, she’s the founder of MeetAnders.com, the number 1 graphic design service for marketers that churns virtually any graphic design for just SG570 per month, just like what an in-house graphic designer does for you. Marilyn believes that great designs and caring designers don’t have to cost you an arm and a leg, which are necessary to bring out the marketing magic in you! 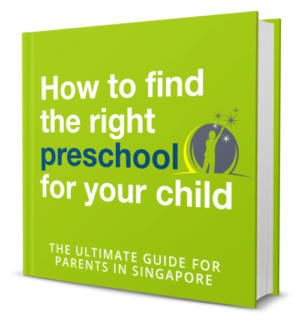 Sign up below and receive 15 gems on the best ways you can find the right preschool. Thank you! Check your email for your FREE gift! You get to receive regular FREE tips too!